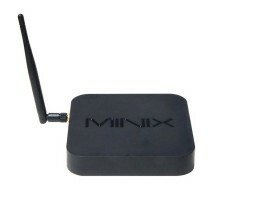 The NEO X7 is MINIX's flagship Android Media Hub. 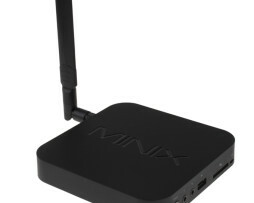 Since its release in July 2013, the NEO X7 has become one of the most popular Android Media Hubs, and widely acclaimed to be the best on the market.The NEO X7 is based on a Quad-Core ARM Cortex-A9 processor with Quad-Core Mali-400 GPU and the latest Android 4.2.2 OS, improving the speed and performance of the device compared to its predecessor, the NEO X5. 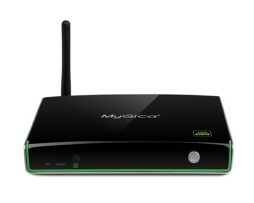 The MyGica ATV1900AC Android 5.0 TV Box is the Most Powerful Android™ TV Box. 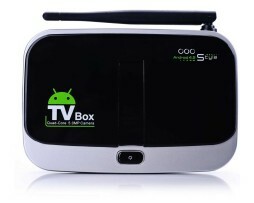 This quad core Android box has the latest version of KODI (XBMC) pre-installed.Start watching your favorite TV Shows, Movies & more! You can even watch your Netflix account! It has a quantum leap of bandwidth to support your Ultra HD TV experience with ample processing power to stream 4K video. 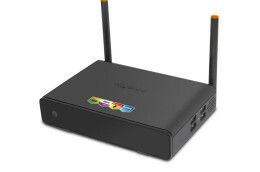 You can choose to connect to the internet with the built-in 802.11ac WiFi or 100/1000 Megabit Internet Adapter. Android™ 5.0 Lollipop has new features that allow you to use voice recognition for apps or Chrome to search, get directions, create reminders etc. 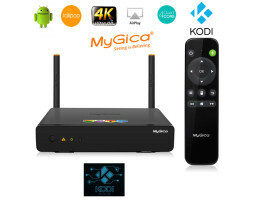 The MyGica ATV1900ac comes with the latest updated version of KODI pre-installed – No Monthly Bills! FREE SHIPPING is included within the US & Canada!